Motivating leaders and leadership teams to optimize performance and stretch their goals. In short, Anne-Marie catalyzes and accelerates her clients’ success. 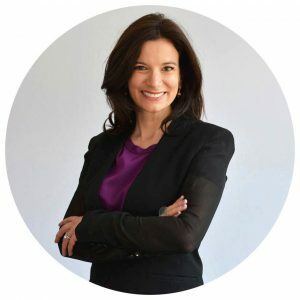 Anne-Marie is a credentialed coach and former corporate lawyer who works with professionals, executives and executive teams to increase performance and engagement levels. She has special practice areas in diversity and inclusion initiatives and the promotion of women into leadership positions. She has worked extensively with women in law, business and STEM (Science, Technology, Engineering and Math). She has also advised PhDs in Science, Astrophysics and Engineering at the University of Toronto on the transition to the corporate world. Combining advanced analytical skills with high levels of emotional intelligence, Anne-Marie practices with positive energy, authenticity, curiosity and a deep commitment to client confidentiality. This rare combination of keen analytic capability, professionalism, mindfulness and masterful soft skills makes Anne-Marie’s coaching unique. Anne-Marie guides her clients through the process of setting and achieving not just any goals but the right goals. She fine-tunes her clients’ authentic leadership style and consults on improving dynamics and efficiency in leadership teams.